The manufacture of single-atom transition metal-doping carbon nanocomposites as electrode materials is crucial for electrochemical energy storage with high energy and power density. However, the simple strategy for preparation of such active materials with controlled structure remains a great challenge. Here, cobalt-doped carbon nanocomposites (Co-POM/rGO) were synthesized successfully by deposition of Anderson-type polyoxometalate (POM) on the surface of reduced graphene oxide (rGO) aerogel via one-pot hydrothermal treatment. The resulting Co-POM/rGO possesses three-dimensional graphene-based frameworks with hierarchical porous structure, high surface area and uniform single-atom metal doping. These intriguing features render Co-POM/rGO to be a promising electrode for applications in electrochemical energy storage. As an electrode material of a supercapacitor, Co-POM/rGO shows high-performance electrochemical energy storage (211.3 F g−1 at 0.5 A g−1). Furthermore, the solid-state asymmetric supercapacitor (ASC) device, using Co-POM/rGO as a positive electrode, exhibits the outstanding energy density of 37.6 Wh kg−1 at a power density of 500 W kg−1, and high capacitance retention of 95.2% after 5000 charge–discharge cycles. These results indicate that the proposed strategy for rational design of single-atom-metal doped carbon nanocomposites for flexible ASC devices with excellent capacitive properties. 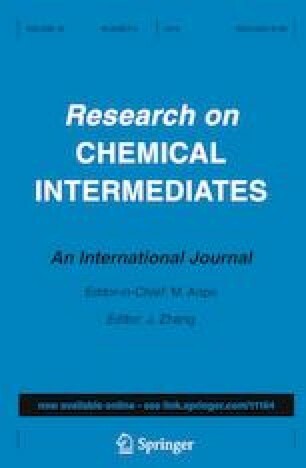 The online version of this article ( https://doi.org/10.1007/s11164-019-03789-1) contains supplementary material, which is available to authorized users. This work was supported by the National Natural Science Foundation of China (21606151, 21504057, and 21707092), Natural Science Foundation of Shanghai (17ZR1441700 and 14ZR1440500), China Postdoctoral Science Foundation (2017M6104260), Shanghai Excellent Technology Leaders Program (17XD1424900), Shanghai Leading Talent Program (017), Collaborative Innovation Fund of SIT (XTCX2015-9), and the Shanghai Association for Science and Technology Achievements Transformation Alliance Program (LM201680 and LM201833).